» How To Not Get Tired While Running? Are you feeling out of breath or get tired easily when you run? Even if you’ve been training for a while now, you still might be feeling fatigued even after just a short run around the block. Perhaps you’re wondering why this is happening, and we’re here to help you out. Generally speaking, getting tired during a run is a natural process, as you’re using oxygen and muscle reservoir to keep you going forward. However, if you tend to easily burn out after a brief workout, then it might be due to a couple of factors such as over-exercising, low iron count, or even respiratory problems. That said, we’re here to give you ways on how to not get tired while running. By following these steps, you can discover the problem and work towards combatting it. Pretty soon, you’ll be able to run more easily and efficiently! 3. Know the 10-percent rule. 6. Consult your doctor if you have health problems. Believe it or not, having solid running shoes that are comfortable and supportive can make or break your running experience. Some will work with you while others will work against you, so it’s important to find the right fit. Especially if you’re low on vitamins and minerals such as calcium, potassium, and iron, then consider purchasing some supplements to boost your energy when running. These can be easily found at your local drugstore without a prescription. From dumbbells to medicine balls, these items aren’t bad to have around for cross training and strengthening your muscles to help you fight off fatigue on runs. Whether you get easily tired or not, warming up is not only important to get you ready for the actual run, but also it prevents you from burning out quickly. Start by jogging at 50 percent or less of your maximum speed either for one-quarter of a mile or a full mile, depending on your current ability. Slowly start building up speed thereafter, until you’re at your normal pace, about 70 to 80 percent. Also, don’t forget to warm down after your run, returning to the same pace that you had when warming up; this is to prevent lactic acid from building up in your legs that can cause cramps and fatigue. During the run, you might start to feel the fatigue creeping in early. You might choose to push through it and continue at the same pace, but if it’s starting to become too much, then know that it’s fine to adjust to it. You may slow down, but what’s important is that you can keep on running, no matter the speed. Once you adjust your pace and start feeling comfortable with it, then you can try to pick up the pace again, returning to your original speed, if you’re able to. Otherwise, you can continue to run at the modified pace, as long as you continue to keep running. Perhaps you’re getting easily tired because you start out too fast and end up burning out shortly thereafter. Starting out strong is a good plan, but wasting all of your energy reserves in the very beginning of a run isn’t a smart idea. Instead, consider the 10-percent rule: start out at a normal, comfortable pace and over time increase your pace by 10 percent. For instance, begin at 60 percent of your running ability and during the following week, increase it to 70 percent, then 80 percent, and so forth. Of course, reserve your energy of 90 percent and above for race days, but until then, keep the 10-percent rule in mind for your daily workouts. Sometimes, running can only take you so far: not only can it easily get boring after a while, but also it can cause you to plateau, in the sense that you stop improving and get into a state of complacency, whether you like it or not. That said, it’s a good idea to add some extra, non-running workouts to help you perform better and stronger. Cross training is perfect for this, as it requires you to work out muscles that you normally don’t work out, thereby making your body fit. You can choose to opt for weight-training sessions twice to three times a week, in between running days. Working out places like your core, back, legs, arms, etc. can lead to an enhanced performance in running. Often times, fatigue can happen due to having a poor habit or lack of certain vitamins and minerals. Maybe you’re eating too much junk food and not enough vegetables or perhaps you’re not getting enough sleep each night. Adjust your lifestyle, and you just might have more energy to focus on running faster and better. Eat a more balanced meal of protein, carbohydrates, and fat by cooking your own meals at home; doing so will help you control portions. 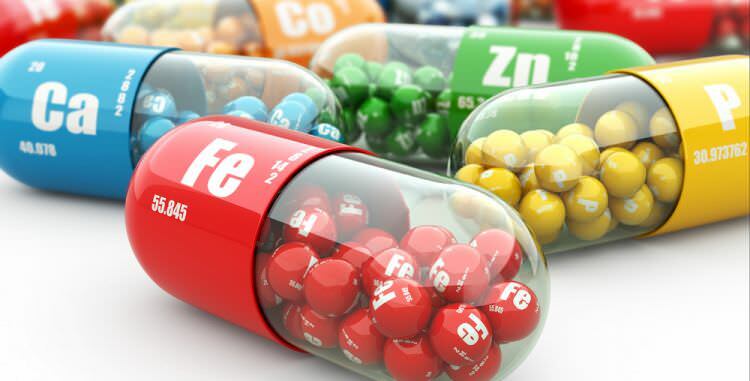 If you’re lacking in a certain mineral such as iron or calcium, then it doesn’t hurt to take supplements along with a healthy diet. Unfortunately, there are some times when you simply don’t have control over your body. Perhaps you have asthma or chronic fatigue, and you just can’t do anything about it. However, getting help from your doctor can help you figure out what steps you need to take to beat fatigue. Whether it’s taking a few days off between runs or using an inhaler, little changes can help you out in the long run, literally and figuratively. Overall, being easily tired can be a really frustrating to you, especially after training hard to improve your personal record (check out our article here for PRs: https://causeiloverunning.com/what-does-pr-mean-in-running/). However, by taking steps to ameliorate it, you can be on your way to running your best again. Comment and share this post if you liked it!